Everything you need to know about teaching English Language Learners in Fort Mill. As we welcome 2016, the Fort Mill ESOL team would like to wish you lots of joy, peace, health and prosperity. We would also like to extend the warmest welcome to our new ESOL teachers. You may remember from the Blog post in October 2014 that FMSD had nearly 400 students identified as English Language Learners (ELLs). Currently, that number is up to 500; that means growth for our team! In August, we welcomed Mrs. Terry and Mrs. Florian to the FMSD ESOL team. Today, we welcome Mrs. Revels to our team. 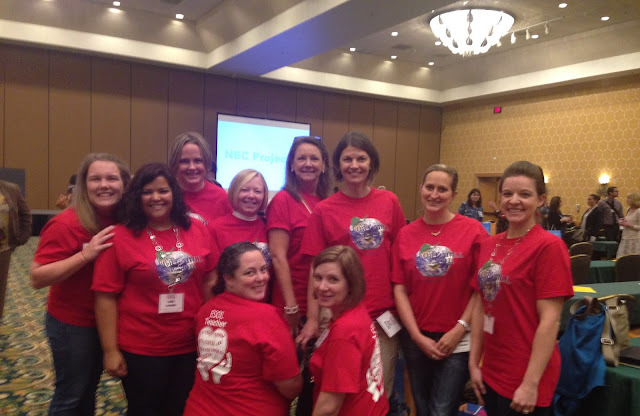 With a total of eight full-time, highly qualified, certified teachers, our team is dedicated to providing the best educational experience for our ELLs, and the most support possible to the classroom teachers educating our ELLs. You can read more about, and connect with, all of our ESOL teachers here. Please feel free to email us if you have any questions or concerns regarding the ELLs in your classroom, or if you would like to learn more about the ESOL program. Additionally, this Blog will be updated frequently to provide insight into the ESOL world, as well as instructional strategies that will benefit not only your ELLs, but every student in your class. We hope you'll visit often! Title III of the No Child Left Behind Act of 2001 requires states to administer an assessment designed to measure students' progress in "...attaining proficiency, including a child's level of comprehension, speaking, listening, reading, and writing skills in English". For as long as I've been teaching in South Carolina, English language learners have taken the ELDA each spring to fulfill this requirement. This year, the state of South Carolina has chosen a different test to assess out English language learners - the ACCESS for ELLs. The test will still be given in the same testing window as the ELDA and all English language learners in our schools will be required to take it. and according to English proficiency level: Tier A(beginning), Tier 2 (intermediate), and Tier 3 (advanced). Student results are reported in one way: a score from 1 to 5 in each of the four domains. Student results are reported in three ways: as raw scores, scale scores, and English language proficiency levels. Interpretive guides are available to help with analyzing score reports and using the data to aid in classroom instruction. We are excited to see how this new proficiency test can help us understand our students' language needs so we can serve them better in the future! When you have English Language Learners in your classroom, you can't just wait until they are at a high level of English proficiency before introducing them to academic content. That is why it is so important to have a variety of techniques to differentiate the material providing all levels of English learners access to the curriculum. In their book, Leading and Managing a Differentiated Classroom (2010), Carol Ann Tomlinson and Marcia Imbeau describe differentiation as creating a balance between academic content and students' individual needs. 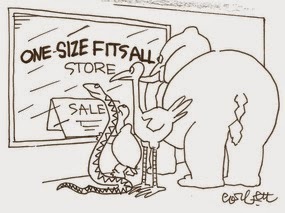 Differentiation is not the same as individualized instruction. With differentiation, every student is learning the same material, but how they learn the material and then show what they've learned may be different. The following WIDA newsletter on differentiation not only goes into more detail about ways to differentiate but also demonstrates how a lesson and assessment can be created to meet various student needs. A little over a year ago, South Carolina became the newest state to adopt the WIDA ELD Standards for use in our schools. This year, South Carolina has decided to use the WIDA W-APT test as a screener for new ESL students and the WIDA ACCESS test as an annual measure of growth for English learners. The ACCESS will replace the ELDA test that our students have taken each spring. 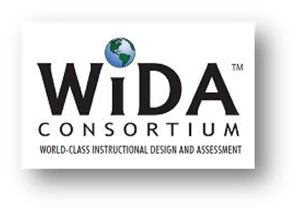 WIDA stands for World-Class Instructional Design and Assessment. It is a consortium of 36 states with the common goal of developing high quality standards and assessments to meet the needs of English language learners. One unique feature of WIDA is its Can-Do philosophy. Instead of focusing on the deficiencies of ELLs, WIDA accentuates the positives of what English language learners can do according to their proficiency levels. These Can Do Descriptors can be downloaded for free here: Can Do Descriptors. The WIDA English Language Development Standards were developed using input from ESOL educators, the latest research in English Language Development, and member state's content standards for college and career readiness. The five standards represent the social, instructional, and academic language that students need to engage with peers, educators, and the curriculum in schools. Social and Instructional Language: English language learners communicate for Social and Instructional purposes within the school setting. The Language of Language Arts: English language learners communicate information, ideas and concepts necessary for academic success in the content area of Language Arts. The Language of Mathematics: English language learners communicate information, ideas and concepts necessary for academic success in the content area of Mathematics. The Language of Science: English language learners communicate information, ideas and concepts necessary for academic success in the content area of Science. The Language of Social Studies: English language learners communicate information, ideas and concepts necessary for academic success in the content area of Social Studies. Within each of these areas, the WIDA ELD standards provide connections to state standards, an example context for how the standard might be used in the classroom, a cognitive function for the ELL and performance indicators (what a student "can-do") at various levels of proficiency. If you would like more information on these standards and how to use them in your classroom, please see the ESOL teacher assigned to your school. She would love to share with you the benefits of using WIDA's ELD Standards with our ELLs!